Clinique Chubby Stick Moisturizing Cheek Colour Balm joins the chubby stick family this Fall in four, mistake-proof blush shades that are sure to please lovers of simple beauty! A few years ago Clinique wowed me with the introduction of their Chubby Stick Intense Moisturizing Lip Color Balm and so a great love affair began with chubby lip pencils and crayons! But how does one wow me again? By doing a chubby stick for eyes too! Clinique introduced Chubby Stick Shadow Tint for Eyes in 2013 much to my delight. Now here we are heading into Fall 2014 and one wonders how could they possibly top themselves? Well, that’s easy by creating a chubby blush stick! Let’s hope next year they do a chubby stick foundation because in that case we’ll be covered on all bases of cheeks, eyes, lips, and FACE! Let’s take a look at Clinique Chubby Stick Moisturizing Cheek Colour Balm! Clinique Chubby Stick Moisturizing Cheek Colour Balm are an oil-free creamy blush that adds color and a hint of a glow to cheeks with a quick and simple swipe. As much as I love makeup and beauty I admit things can get complicated fast and my morning routine starts consisting of several hundred products. I LOVE the idea of simplicity in beauty sometimes. Complicated is good but when you’re in a rush simplicity rules my makeup world. Clinique’s Chubby Stick Moisturizing Cheek Colour Balm is an excellent pick for folks in a rush, those who want simple, and those who happen to be heavy handed (that’d be me). These are a simple swivel up design with a dome shaped head that fits the apples of your cheeks perfectly so you can quickly dot or swipe color on, blend out with your fingers, and go! Fresh, fabulous color in seconds and you never have to worry about over doing it as they sheer out to a natural finish with a hint of a glow-y sheen (don’t worry, no sparkles or shimmers here just a pretty luminosity)! I happy to hit the blush pan hard sometimes with my brush so I love how natural these are and virtually mistake proof as I can never over do them no matter how much I apply. The colors build easily as well for more pop! Now I think you might assume these have a balmy texture but no worries this is a creamy, satin set blush that applies like a cream blush but sets to more of a powder finish. The color doesn’t stick to drier areas and provides a smooth, seamless natural finish with a wear time of around six hours on my drier skin with a hint of fading at the six hour mark! If you’re really into simple beauty I can’t rave Clinique Chubby Stick Moisturizing Cheek Colour Balm enough! These apply in seconds, travel easily, and bring together the fun chunky chubby packaging you love from the original Chubby Stick Lip Balms! Blush shouldn’t have to be difficult to apply and these cute sticks make application easy peasy lemon squeezy! Available now at Nordstrom.com, Sephora.com, Clinque.com. or your fav Clinque counter! I love these too! I purchased the amp’d up apple and want another one. I love the robust rhubarb on you although don’t know why they named it that because it looks like a peachy pink and rhubarb is more purplish red in color…oh well. Wish you had a pic of the plumped up peony on you because this might be my next one…looks perfect for fall! So exciting! I love these. Thanks for the swatches. I would like to see them launch matched sets with a sticks for eyes, cheeks, lips, and face, right? These are probably not for me but I’m impressed with the color payoff. 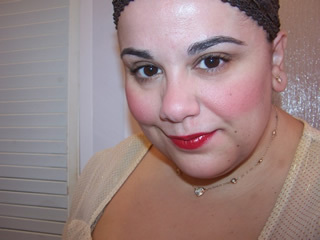 For some reason I imagined the sheerness of the lip chubby sticks but for cheeks. Can you use these on your lips too? I love the Amp’d Up Apple color! i haven’t tried, the texture doesn’t seem right for lips! I bought these from Nordstrom’s website when they first came out. I have Rosy Posy and Robust Rhubarb and really like these. They are easy to apply and you can control how much or how little you want to use. You can blend with your fingers or use a duo fiber brush. I never liked the other blush stick Clinique has. In fact, I’m glad that they finally came out with new blush and not only one but two. I also have four shades in the new powder blush that I love. Besides being a great blush, it’s so cute! They hadn’t come out with new blush in years. Every time I would be at a Clinique counter, I would ask “any new blush coming out?” Finally they did! Do not hesitate to buy these. yay glad you like these 😀 they actually released the pop blushes very recently have you tried those Joan? they are fab! I actually have the Pop blushes for months. I bought them from Nordstrom’s website before they were on the Clinique website or in store. When Clinique’s website finally got them, they showed them as “limited edition”, but now I think they are permanent to the collection. Sure hope so. 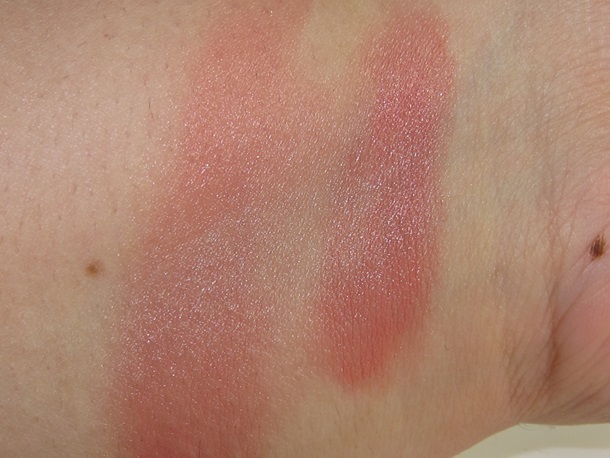 I’ve never read so many good reviews about a blush…..well maybe a few other brands. LOL. The new stick blushes look great on you, BTW! aw you’re too kind thanks Joan! They are fab I don’t blame the reviews 😀 Plus they are cute as heck! yup, when I originally posted about them I had also noticed they were LE but now they are on counter and appear to not be going anywhere 😀 YAY! Wow, I really like the look of these! How much do they cost? Got to try these! I never liked their other blush stick but these look like they might be easier to work with. I do hope Clinique does a foundation in a chubby stick. I loved their city stick foundation and was so annoyed when they discontinued it not once, but twice. How long do these blushes last? I just purchased a cream blush stick yesterday, but these look wonderful! They look great on you. This was very helpful. I didn’t want to go to the store, I prefer to mail order at this time. I feel confident that I am getting the right color for me. Thanks for modeling the colors.